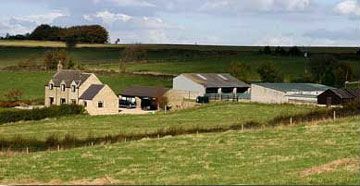 Situated on the outskirts of the village of Ashover, Derbyshire, a few miles away from Chatsworth House, we are just 20 minutes from junction 28 of the M1 making us easily reachable from London. Derby, Nottingham and Sheffield are all well under an hour away. Leeds, Manchester and Birmingham are also within easy reach. Please note – we won't add you to any email list nor pass your details to a third party. This is just so we can contact you with answers to your questions.